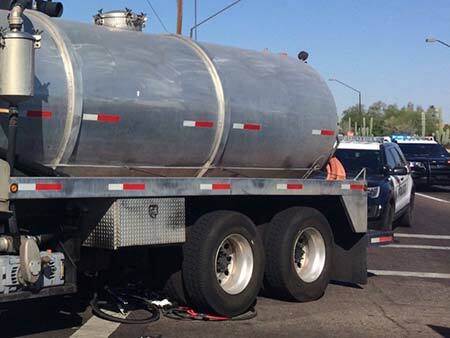 Gilbert, Arizona—Jenna Taylor was out for an early-morning bicycle ride with a friend on Wednesday when she was struck and killed by a commercial tanker truck. Ms. Taylor, age 33, and her friend were traveling east on Ray Road in a marked bike lane. 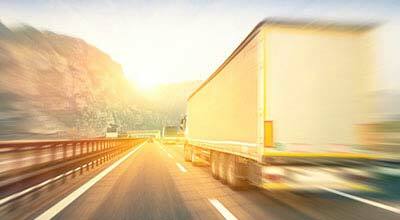 As they approached an intersection, both they and the commercial truck beside them had a green light. Accident investigators with the Gilbert Police Department report that the truck turned right onto Val Vista Drive, crossing the path of the bicyclists. Ms. Taylor was trapped beneath the truck’s rear wheels. Her friend sustained minor injuries. Police have not announced whether the driver of the truck has been issued any citations. Bicyclists must follow the same rules as cars. Among other things, a bicyclist must travel in the same direction as vehicular traffic. Ms. Taylor was doing this. City ordinances in many towns require that motorists maintain a 3-foot margin when passing a bicyclist. This morning at approximately 8:00, a Baker Commodities truck was involved in a collision with a bicyclist. We are heartbroken to learn that the accident resulted in a fatality. Baker Commodities is a family-owned company and we extend our deepest condolences to the family of the deceased. Ms. Taylor leaves behind her husband, Cameron, and their four children: Riley, Mac, Van and Ivy. We extend our condolences to the family and friends of Ms. Taylor at this time of great loss for them.